Grace Foundations is a four-session study of the basic elements of living as a follower of Christ. This study series can be an important investment in building a firm faith foundation in your life. It is also a great step on the path to membership at Grace, as you have the opportunity to become familiar with our beliefs. 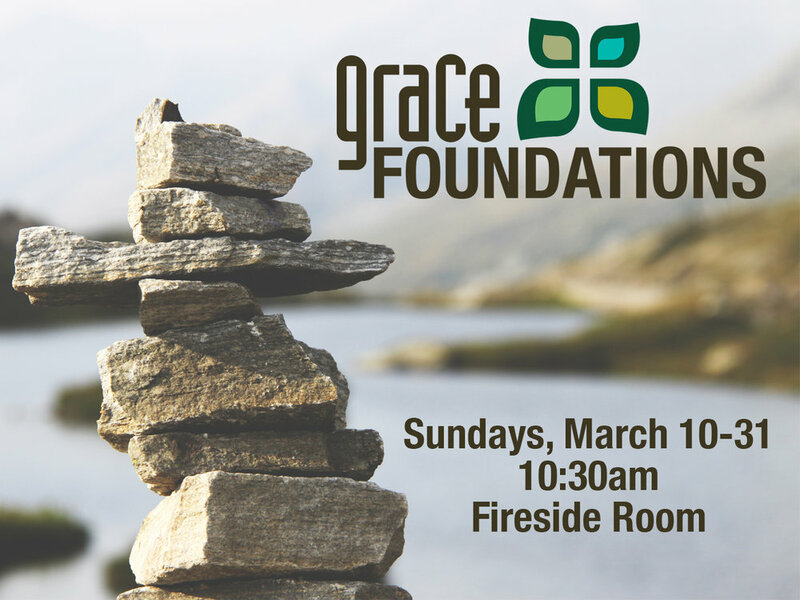 Join us for our next Grace Foundations class - Sundays, March 10-31 - as we explore these questions and more!